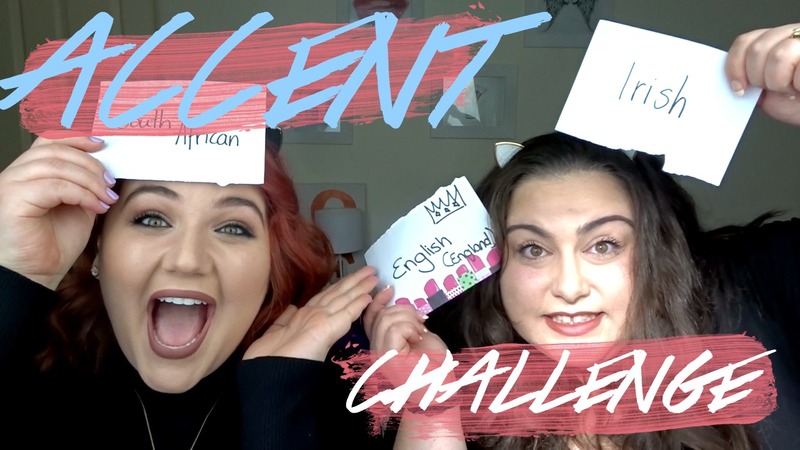 Ever since I was little, putting on a fake accent and pretending to speak in different voices has always intrigued me, so I thought it was only fitting to get around to doing the Accent Challenge over on my channel. I had my YouTube bud, Melissa Bubbles join me for this weeks #CollabmasInJuly installment. If you're a fan of Instagram and you love finding out a good hack or two, make sure you head on over to Mel's Channel, where we also did another video sharing our top Instagram Hacks with you! There's definitely a hack for everyone, from finding the perfect Insta theme to maximising your security and staying safe online, we've got you covered. That's week two of #CollabmasInJuly wrapped up, I'm really hoping everyone is loving it so far- your response has been amazing! Make sure you check back every Wednesday and Sunday to find out who my next collaboration is with! Haha I'm so glad you liked it! That would be a dream- I'm sure after listening to different accents all your life you would be fantastic at this ! This was so funny! Talking in different accents is definitely sometimes hard! Haha so glad you enjoyed it Camila! This is so fun! I am terrible at accents.. like seriously awful! This sounds like a really awesome challenge. You are so funny! Love this! Haha thanks Lily, glad you enjoyed it! HAhahahah its so funny. i enjoyed a lot. So glad we made you laugh!